I am such a fan of cards, especially handmade ones. I love the time and love that is put into each one. Today the lovely Lesley from Decorque Cards is sharing a post with us on how to liven up your living room with cards. Something I never thought to do but would be a wonderful way to use and display those pretty cards we receive. Try as you might to save cards, they always end up in the recycling bin. You might have good intentions of hanging on to them; to make pretty gift tags or postcards, but given a quick tidy round the house, you see red and banish anything that hasn’t yet been given a home. This year, vow instead to do something much more significant with that stash of birthday cards. After all, someone has spent time purchasing them, handwriting them and driving to the post box to ensure they land on your doormat just in time for your special day. With that in mind, here’s how you can make the most of those gorgeous handmade cards by Decorque Cards. Frame Them – If friends and family have treated you to pretty photo frames over the years – each of which has since been relegated, unloved and unused, to an old box or drawer – make sure you use them. Dig out your favourite greetings cards and create a gorgeous gallery wall of floral images. Instead, why not pull together a collection of contemporary art via a few cards and line them up on your windowsill? You’ll be surprised how they can pull together the interiors or a colour scheme in your living room, so give it a go and see if you could give Laurence Llewelyn-Bowen a run for his money in the creative stakes. Create a Collage –You know those large photo frames which combine slots for half a dozen or more photos? They’re everywhere at the moment, and they’re perfect for sliding in cards or postcards. You can often pick up frames like this; in beige, black or another colour to suit your living room fairly cheaply, so have a scout around and see if you can find a home for those gorgeous anniversary or wedding cards. Take a few hours to sort through that box you’ve pushed under the bed; the one that contains all your keepsakes and cards. You could even rope in your kids to help you pick out some of the loveliest cards. Then, simply start organising them in your photo frame, before finding a suitable spot in your living room to display them. Above a mantelpiece is always a good choice, making your new collage the focal point of your room. Alternatively, buy some new greetings cards in the colour scheme of a recently-decorated living room and have fun getting crafty. Pin Them to a Notice Board – Sometimes, less really is more. And by pinning your cards to a pretty notice board in your living room or kitchen diner, you can enjoy them every day, while still having the freedom to swap them if you fancy a change. 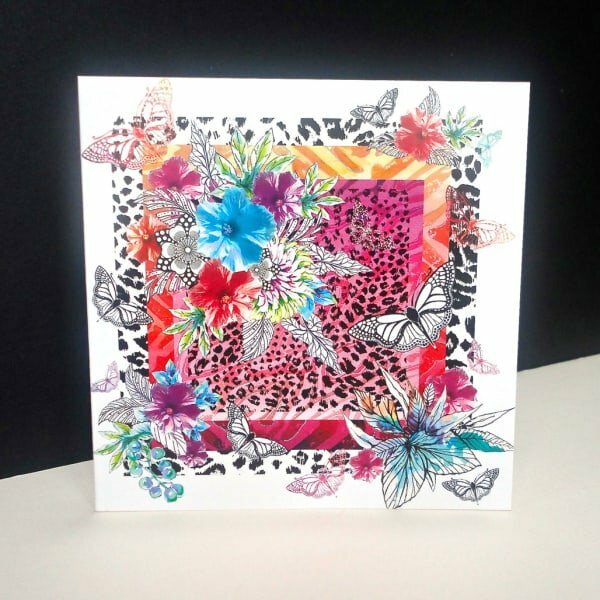 You could even add gorgeous greetings cards to the entire notice board, lining them up (corner to corner) in a collage style, creating your own mini work of art as you go. It’s also a great idea to display such cards and notes, reminding you of the person who sent them and giving you a daily nudge to keep in touch with them more often. Alternatively, add one or two cards to individual photo frames and simply dot them around your kitchen cupboards, on the top of shelves or even in the bathroom to add a cost-effective spot of interest to your home. Of course, away from the living room there’s a whole host of other ways you can enjoy those cards a little bit longer. You could think about laminating them and making them into bookmarks. Or perhaps you could stick to your intentions of creating gift tags for them, or simply cut them up to make cute postcards. Whatever you decide, there’s plenty of ways you can breathe new life into something which would otherwise be destined for the refuse site. Thanks for the creative ideas Lesley! Have you decorated with cards? I’d love to hear about it. Hi, Sarah! 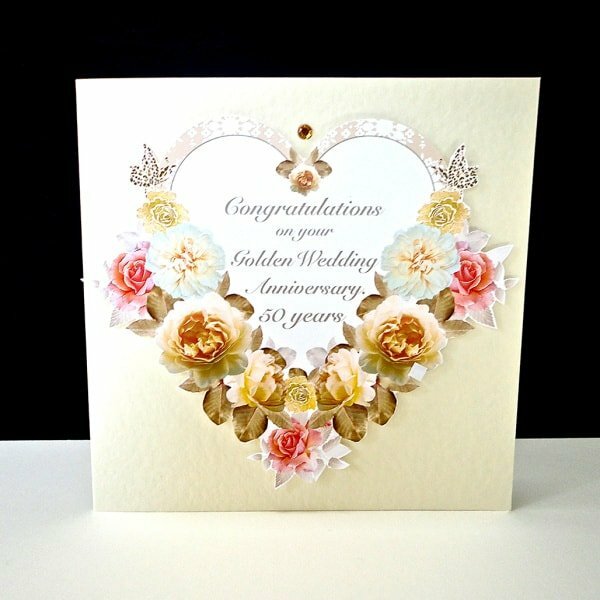 Love your ideas about decorating with greeting cards! I do have to ask — you say that you live in the Midwest (I live in Wisconsin), but your spelling isn’t American — are you from Australia or England or Ireland . . . ? Just curious. Hope you don’t mind my asking. Hi Gabriella, I do live in the midwest, however this particular post is from a fellow crafter sharing her cards and tips on my blog. Thanks for reading, hope you enjoyed this.